Preheat oven to 325°F. Spray a dark non-stick cupcake pan with cooking spray. Prepare angel food cake mix according to package directions. Fill each cupcake tin to the top. Bake for 18-20 minutes or until tops are golden brown. Cool cupcakes and frost with frosting. I used a 1M star decorating tip. Sprinkle with sprinkles if desired. Yes, you can make cupcakes out of angel food cake mix -- and it's even easy. What a heavenly treat for Mother's Day! Mother’s Day is the one day a year that all moms should get a card, some flowers, and maybe even dinner made for them to make them feel special. I’m a little spoiled at my house. Although I’m not my husband’s mother, I am the mother of his four children, so he’s good about making the day all about me. Usually I pick out a dessert I want him to make for me for Mother’s Day. Last year it was strawberry shortcake and this year it might be these Angel Food Cupcakes. I’ve been trying to watch my girlish figure, and did you know that angel food cake is actually really low in calories? Of course when you top it with this much frosting that all goes out the window, but if you take it easy, these really are a light dessert. My only drawback in requesting these is that they’re ridiculously easy. Sometimes it’s just a little fun watching my husband work hard in the kitchen so that he appreciates what I do every day. 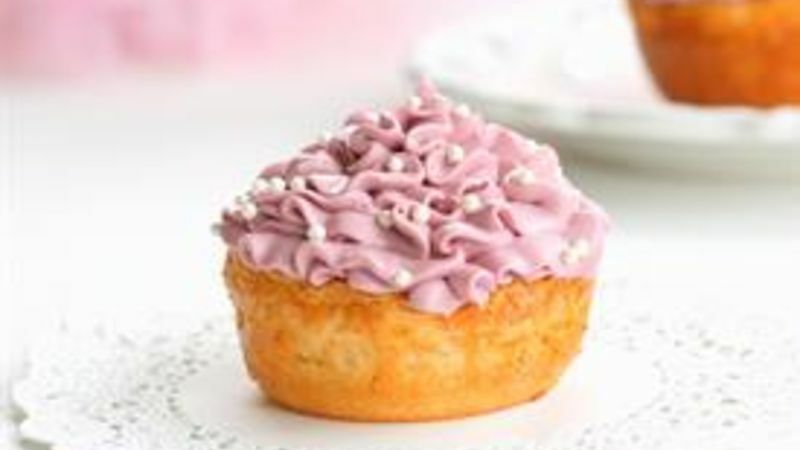 All you have to do to make these cupcakes is add water to a Betty Crocker cake mix. I can’t let him get off that easy, right? But they sure are tasty…so maybe I will.